When The Who released their fourth studio album “Tommy” on May 23rd, 1969, the times were certainly a-changin’. The Beatles were on the verge of breaking up and, with America fully absorbed in Vietnam, the hippie movement and the Summer of Love were in full bloom. Social ideologies the world over were in a complete state of flux, and while America was busy putting a man on the moon, its civil rights leaders were being assassinated. You can watch old newsreels or read history books, but if you want to be able to feel where a past society was at, your best bet is to listen to the music of the times. Billed as the first “rock opera”, “Tommy” was primarily composed by Pete Townsend. It’s a double album that tells the story of a young boy who, traumatized after witnessing his father murder his mother’s lover, develops a psychosomatic condition that renders him deaf, dumb and blind. The narrative subsequently embeds itself into the fantasy world that exists inside Tommy’s head, to which he retreats from the horrors of his waking life. Hailed by some as a musical masterpiece and likened to being both pretentious and exploitative by others, the critics were split at the time of Tommy’s release. 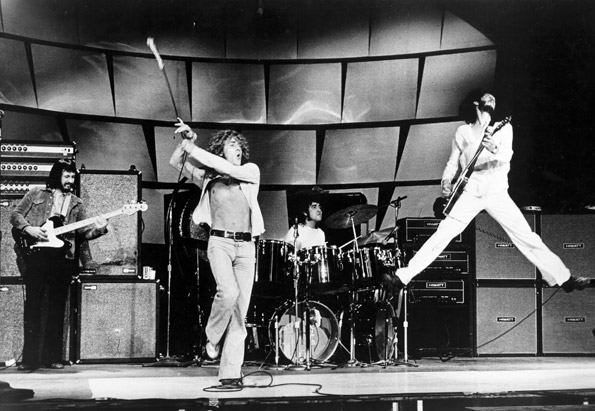 Despite being banned from The BBC and various radio stations in the U.S., the album succeeded in becoming a commercial hit and launched The Who to international stardom. Allegedly inspired by Townsend’s experience with the enlightenment teachings of Indian spiritual master, Meher Baba, the album was certainly a lofty ambition. While some have argued that ambition was never fully realized, Townsend’s ability to create a successful, long-form, conceptual narrative, blew the doors wide open for rock music.